Crystal clear waters, white sand beaches, vibrant coral reefs. These are all typical terms you may hear when describing a destination in the Caribbean, but in the US and British Virgin Islands these traits are unparalleled to any other. That being said, there was no surprise when the US News and World report ranked both the British Virgin Islands as the number one destination and the US Virgin Islands as the #3 destination in the Caribbean. Whether you are looking to take a day trip to the explore the world famous caves at the Baths in Virgin Gorda, relax on the secluded sparkling beaches of Anegada, or explore the hidden beaches and snorkeling spots around St. Thomas and St. John, the Virgin Islands is the place to go. At See and Ski powerboat rentals, we specialize in creating an itinerary that is right for you and your family. 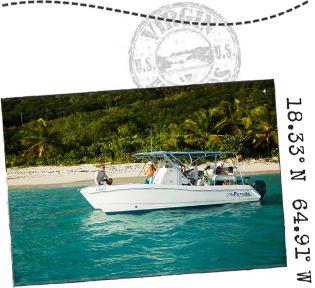 Our boats are perfect for cruising around the US and British waters. Skip the crowds and “touristy” spots for a real local experience. You will not be disappointed you chose to rent your own boat for the day! So if you are ready to escape the winter check out the link below to the US News and World Report and book your trip to the Virgin Islands.